Dr. Joukar completed Emergency Medicine Residency at NYU School of Medicine. He obtained his Doctor of Medicine degree from Chicago Medical School in 1996. Dr. Hossein Joukar MD, is a board certified Emergency Medicine physician with over 15 years of experience and is the Medical Director and CEO of RiteCare Medical Centers in Miami where he strives to offer his patients personal, prompt, affordable health care. He is a member of the American Board of Emergency Medicine and the American Board of Independent Medical Practioners. He has practiced in both Emergency Departments and Urgent Care Centers for over ten years bringing his passion for medicine to South Florida. 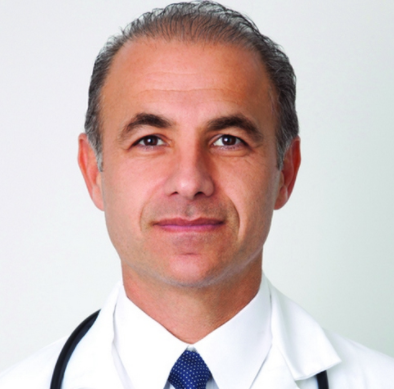 Dr. Joukar has a Bachelor of Science from the University of California Los Angeles and went on to attain his Master of Science in Applied Physiology from the Chicago Medical School before completing his Doctor of Medicine degree from the same school in Chicago, Illinois in 1996. He then completed his residency in Emergency Medicine at NYU/Bellevue Hospital Center in New York City in 2000 before making the move to South Florida. He is committed to ensuring that all patients receive exceptional care in a manner that exceeds his patient’s expectations. Currently Dr. Joukar is licensed to practice Medicine in Florida, New York, and California. Best Doctor in the area!